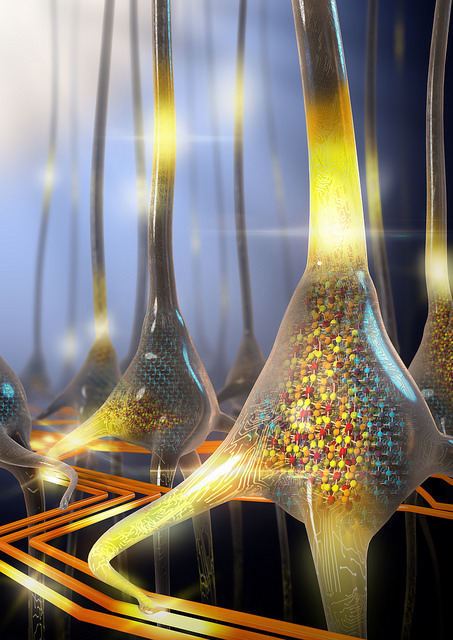 News: Brain mimicking technology builds on the idea of neuromorphic computing. IBM has moved a step closer to making artificial intelligence a reality by creating artificial spiking neurons. 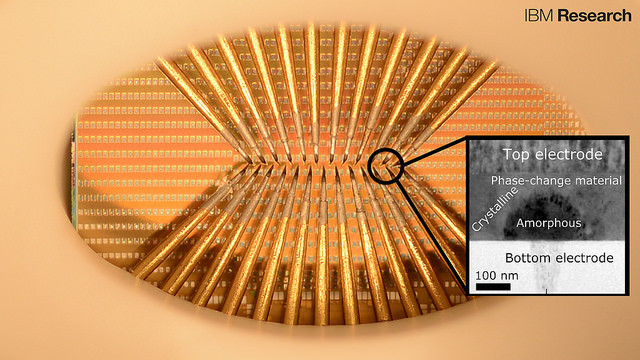 Developed by using a phase-change material, the work has opened up the possibility of building a neural network for use in AI. The researchers say that artificial neurons have been created that mimic the human brain in the way that they store and process data. What this means is that they will be able to learn unsupervised and essentially act like a brain. The study was published in the journal Nature Nanotechnology, and the breakthrough presents a potentially significant landmark for developing energy-efficient and ultra-dense hardware which is comparable to those seen in biology. Authored by Tomas Tuma, Angeliki Pantazi, Manuel Le Gallo, Abu Sebastian & Evangelos Eleftheriou, the abstract for the research says: “Artificial neuromorphic systems based on populations of spiking neurons are an indispensable tool in understanding the human brain and in constructing neuromimetic computational systems. To make this breakthrough IBM researchers used phase-change materials, which form the basis of re-writable Blu-ray discs. However, unlike the discs the artificial neurons do not store digital information as they are analog, mimicking the synapses and neurons in the human brain. Essentially the idea is that the use of the nanoscale devices will help to bring down the size of processors. One of the major breakthroughs in imitating biology is the randomness of artificial neurons, known as stochasticity. Basically, the position of the atoms in the material are never the same after an artificial neuron goes through the integrate-and-fire process. So when an input current is applied, the membrane voltage increase with time until it reaches a constant threshold, at which point a delta function spice occurs and the voltage is reset to its resting potential. As phase-change material can reset it means that the artificial neuron can be reused. However, because the positions of the atoms are changed it alters the thickness of the material each time an artificial neuron is fired and reset, the result is that each firing event is slightly different. This creates a substantial difference to how conventional computers work as they are designed to suppress any randomness, but a brain, which is what they are trying to mimic, does not. The artificial neuron has the potential to detect correlations in large streams of data that act as the input signal. IBM were able to test by using 1,000 streams of binary events, 100 of which were mutually correlated as the input signal. During this testing the neuron initially fired at a high rate in order to find the correlations between the signal. After time though the system was able to evolve and the feedback loop means that uncorrelated signals are more likely to be depressed and correlated signals take over. As the system learns it signals out the 100 correlated signals. What this means in real-life is that in theory the input signal could be signals fed from other neurons, resulting in a faster and more efficient search for correlations between data. This is essentially pattern recognition, which is the main aim of machine learning, and firing neurons would mean that patterns can be spotted in real time. Developed under the idea of neuromorphic computing, a concept developed in the late 1980’s by Carver Mead that describes the use of very-large-scale integration systems containing electronic anolog circuits to mimic neuro-biological architectures present in the nervous system. The possibilities for real world applications of neuromorphic computing goes beyond artificial intelligence into areas such as the Internet of Things where sensors could operate on cognitive computing collecting and analysing volumes of data collected at the edge, for example in weather forecasting.